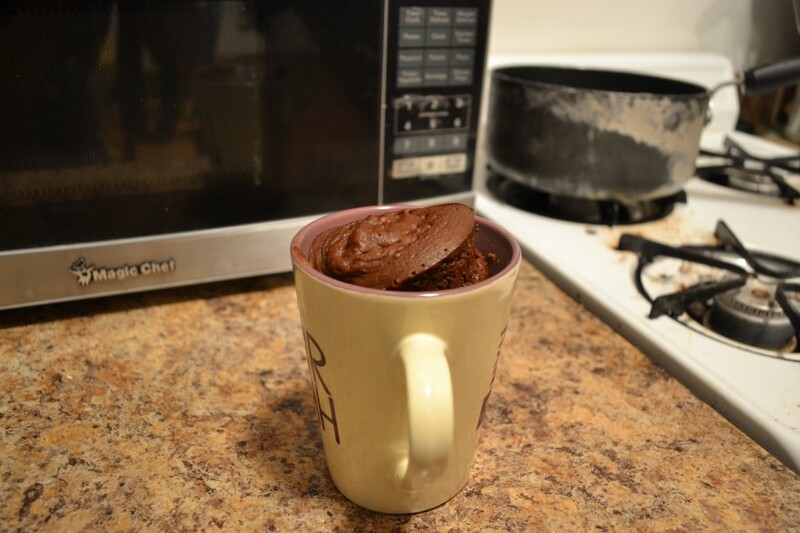 The 5-minute chocolate mug cake is a recipe that should be in every college student’s repertoire. It’s fast, it’s easy and it doesn’t even require an oven! Not only is this cake perfect for a quick study break or late night snack, but it can also be customized to fit everyone’s tastes. If you’re vegan, simply replace the egg with half a mashed banana and the milk for soy or almond milk. If chocolate’s not your favorite flavor, just take out the cocoa powder. 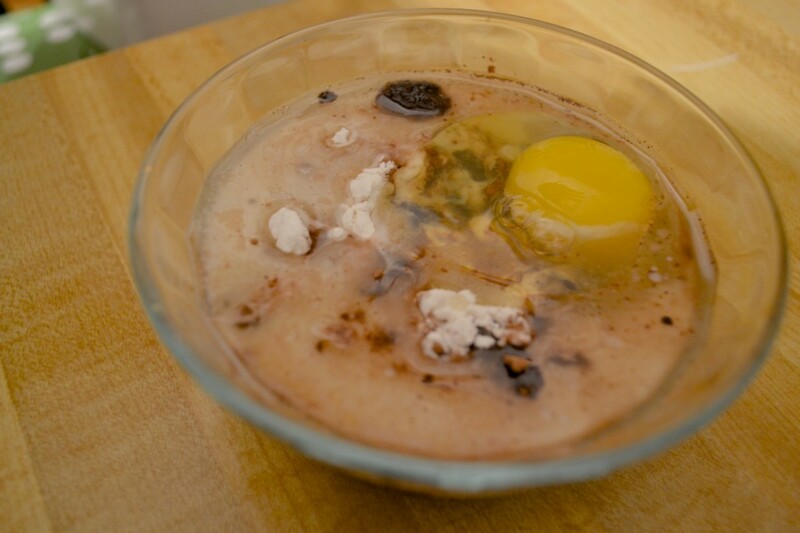 There’s no excuse not to enjoy this mug cake, so grab the ingredients and a mug or two and head on over to the microwave! 1. Mix together the dry ingredients in a small mixing bowl. 2. Add in the wet ingredients, mix to combine. Make sure there are no lumps of flour. 3. If you’re using chocolate chips, fold them into the batter. 4. Pour into a large mug or two medium sized mugs. The batter should reach halfway up the mug. 5. 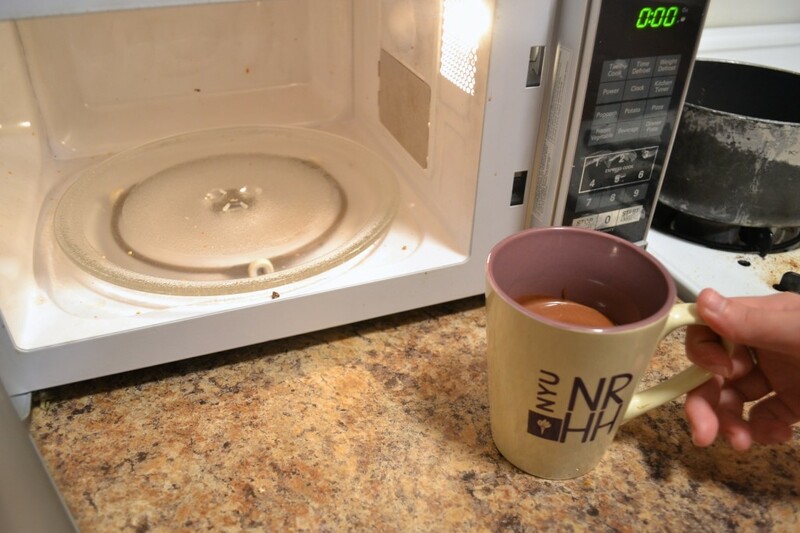 Microwave on high for about 2 minutes. The center should still look a little wet, otherwise you’ll overcook it and it’ll be rubbery. Additionally, you can pour some batter into the mug, add a dollop of Nutella and pour in the rest of the batter to make a lava cake-like mug cake or dust with powdered sugar to give it a little extra oomph! You can also top the cake with berries or marshmallows!